As with all holidays, Easter is special in the eyes of a preschooler. But how can we begin to effectively teach our little ones about this very sad, yet glorious time of Jesus? It’s important that we be sensitive to the feelings of our young ones, yet not shy away from the difficult parts of the Easter story. My prayer is that the story of “The Little Hill” will enable you to share the story of Easter in a way that will capture the hearts and minds of your children as you share the love of Jesus. 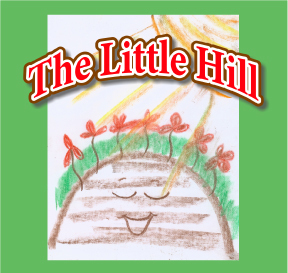 The story of “The Little Hill” is not intended to be a simple “turn the pages of a book” type presentation, but instead, I encourage you to draw each of the pictures as I have drawn below. My suggestion is that you have someone read the story while another person draws the pictures. However, if the artist feels comfortable, then he/she can recite the story while drawing. You will want to purchase a large pad of paper that can be easily seen by your whole audience. I used pastel chalks for my drawings. They are vibrant, colorful and easy to work with. Place the pad of paper on a steady easel. Before you give the presentation, I suggest that you draw the basic shape and shading of the hill on each page, except for the very first page. Each page is meant to build upon the last. Otherwise, just follow the directions I have printed on each drawing. Make sure you take ample time to practice your presentation. Your children will be blessed by your effort. After the story, you might consider giving each of the children a cupcake with green icing on it to represent the little hill. You can make “flowers” by inserting a red gum drop on top of a pretzel stick and then poking the pretzel stick down into the cupcake. The complete instructions for this presentation can be found in the pdf links found below. As always, I would love to hear how your presentation went and if you added any other creative elements that I could share with the rest of my readers. There was a man in the middle…His name was Jesus. But on Sunday morning something wonderful happened! The little hill was excited! An angel appears and says that Jesus is ALIVE! Then Jesus appears and shows that He is not dead, but ALIVE! The little hill is filled with joy! The little hill felt loved. 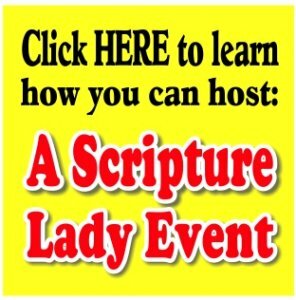 If you liked this Sunday School/Homeschooling idea, then sign up to receive Scripture Lady’s Free Email Kid Tips packed full with creative ideas and receive 6 FREE Bible Review Games to help get the kids you minister to excited about the Bible! Just go to www.MyFreeBibleGames.com to fully subscribe. If you’re into Twitter, click on the cute little bird!